First Street Methodist Mission | 801 W. 1st St.
One in four children come from families that live with food insecurity. 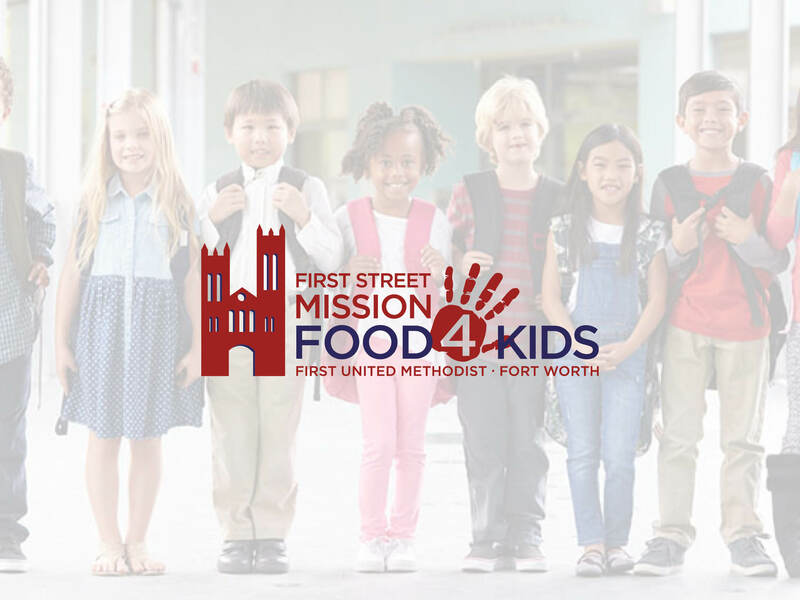 Food 4 Kids is a ministry of First Street Methodist Mission that sends food home for the weekend for 350 elementary aged children at T.A. Sims, Van Zandt-Quinn, and Charles Nash Elementary schools during the school year to relieve fear and worry about where their next meal will come from. Groups of 10 are encouraged to come to First Street Methodist Mission for one hour between 9:00 am and noon, September through May to help pack backpacks.